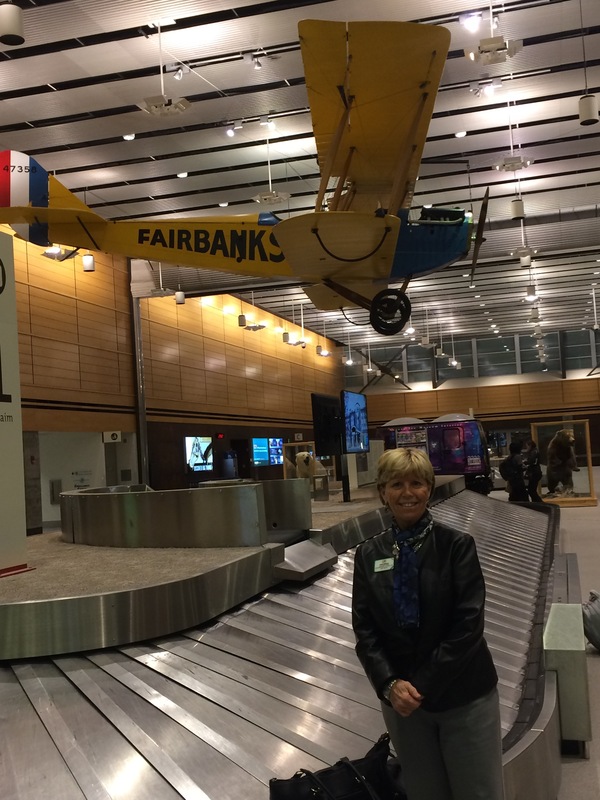 Lion Kathy was wide awake when we arrived at 1:45 am in Fairbanks! “North, to Alaska! Go North, the Rush is On!” by Johnny Horton recounted the Gold Rush of 1901. However, we feel like his lyrics epitomized our excitement as we flew from Florida to Fairbanks. 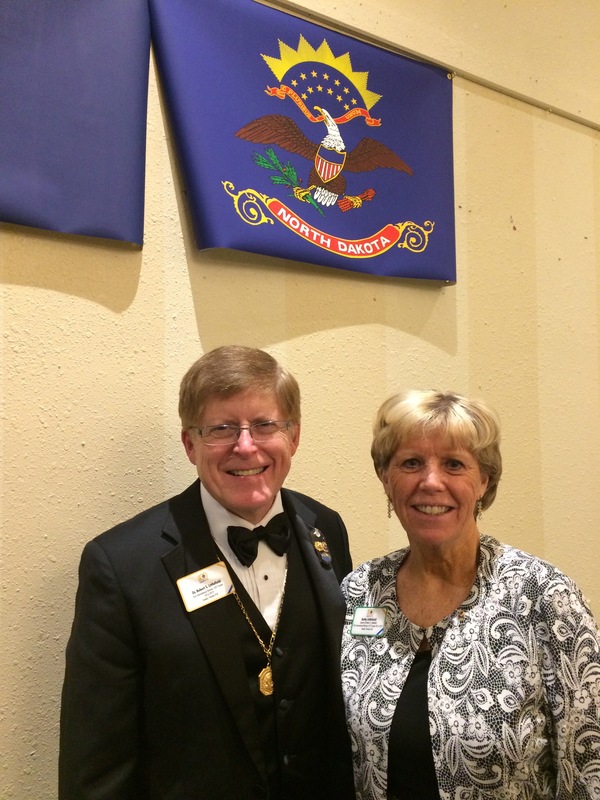 The Multiple District 49 Lions held their 2017 convention from April 26-30 in Fairbanks, and we were honored to be their guests for too brief of a wonderful time! Our hosts, “Doc” Jeremiah Myers and Lion Kris Jones proved to be entertaining, energetic, and knowledgable about the wealth of information associated with our 49th state. 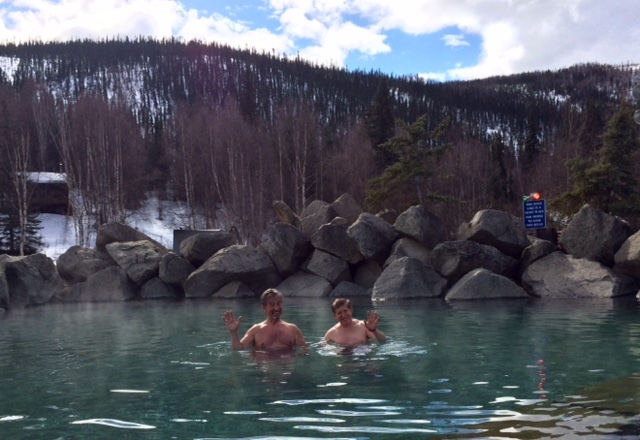 We crossed a lot of rivers, creeks, back roads, and highways on our way to enjoy the relaxation of the Chena River Hot Springs after our first meeting with both Districts 49A and 49B. 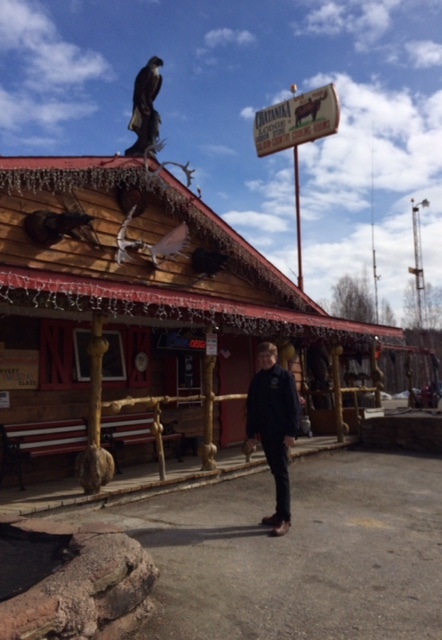 We ate at the famous Chatanika Lodge, and walked to the Dredge from the gold mines of an earlier era. The water was hot! Great, relaxing time in the beautiful north country! 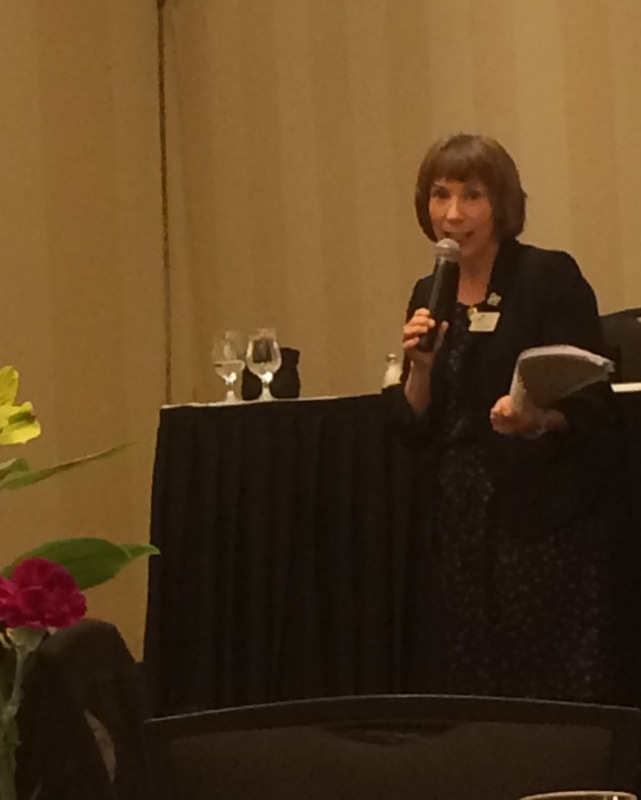 Lions and Leos enjoyed training sessions, presentations, and motivational speakers, such as Houston Lion Susan Soto and Canadian National Institute for the Blind representative Andrea Gronfeldt. 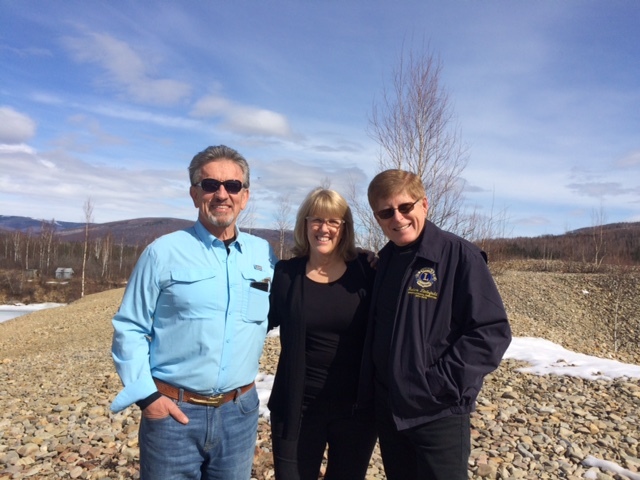 District Governors Karen Burns (49A) and Robert “Ski” Marcinkowski (49B), along with Council Chair Mike Brown provided expert leadership and planning for members. It was a great balance of hard work and fun, as the well-known guitars of “Doc” and Lion Billy entertained later in the hospitality room. 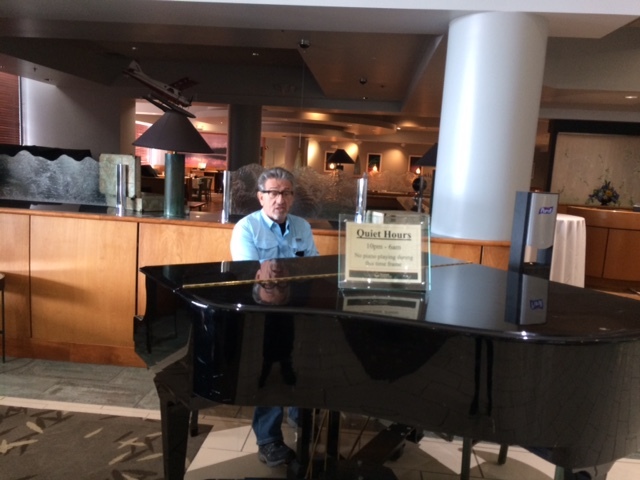 “Doc” also was at the piano in the lobby singing and playing as Lions stopped to listen and enjoy his musical abilities. 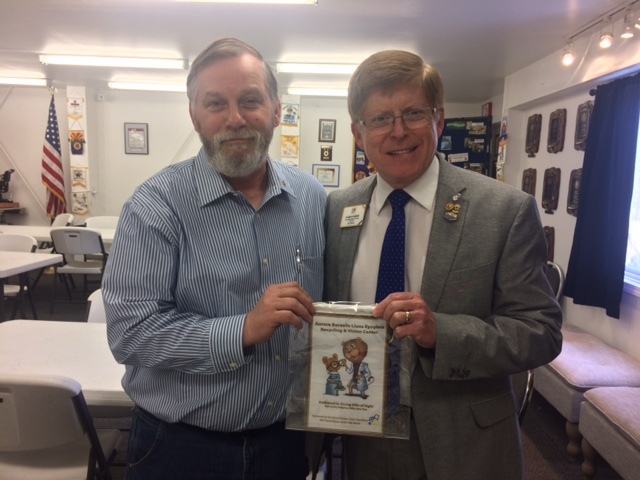 On Saturday morning, Kathy and I were whisked away to the North Pole’s most impressive Lion attraction–the Aurora Borealis Eyeglass Recycling and Vision Center. Under the leadership and direction of Lion Mike Rixie, we toured this amazing facility. 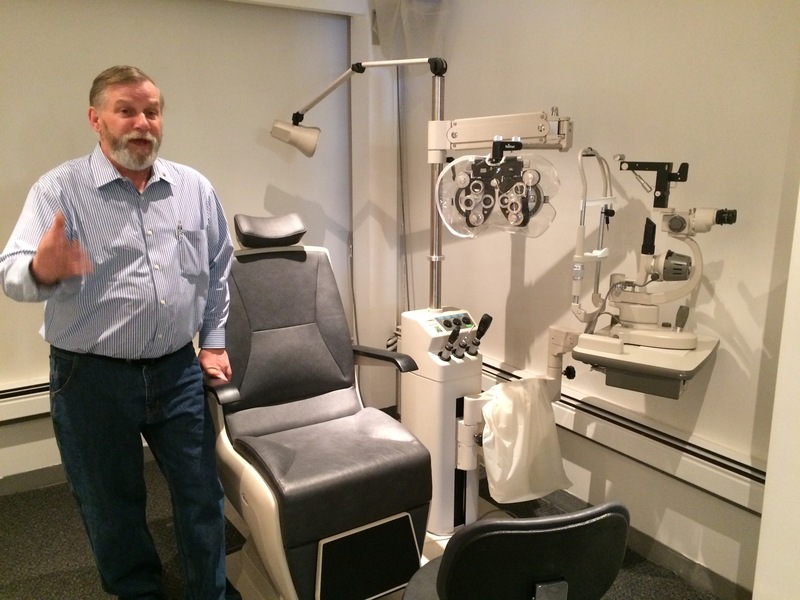 Lions throughout the interior have supported the commitment to vision screening, eyeglass cleaning, sorting, and recycling, and referrals all under the roof of their own facility. PCC Lion Mike Rixie presents a friendship banner to PID Robert. A very up-to-date facility to serve the needs of the community! 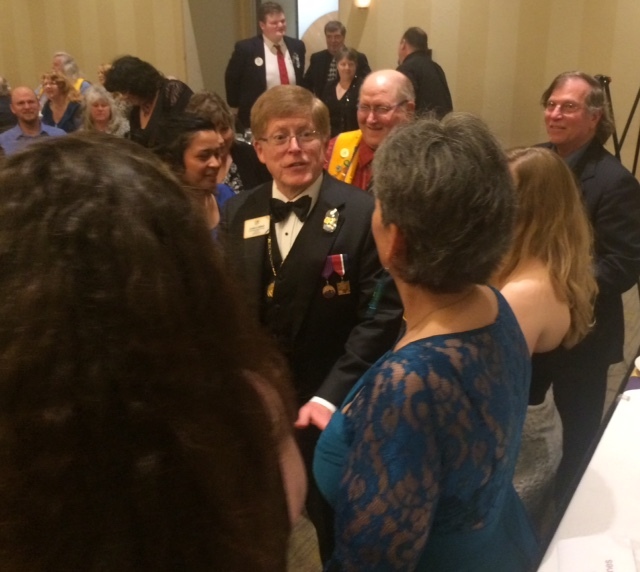 The future for MD49 looks very bright for newly elected officers to begin the 2nd Century of Service in Lionism. 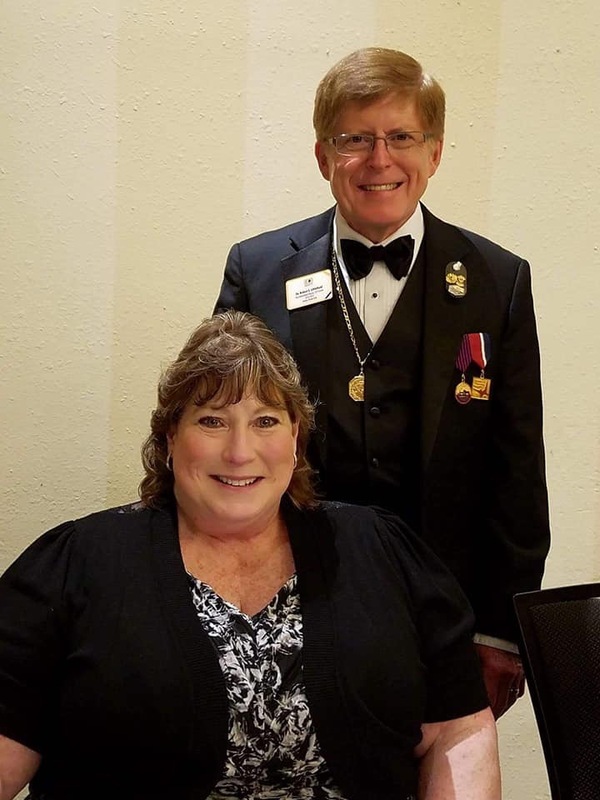 District Governors-Elect Lion Jeannine Morse (49A) and Lion Cory Bellows (49B) were excited as they thanked their supporters and looked forward to the Convention in Chicago this summer. The Lions of MD49 have plans to complete a mission trip to Guatemala this summer. They will conduct medical clinics, hold vision screenings and school physicals, provide eye exams and distribute eye glasses, and help build needed facilities. 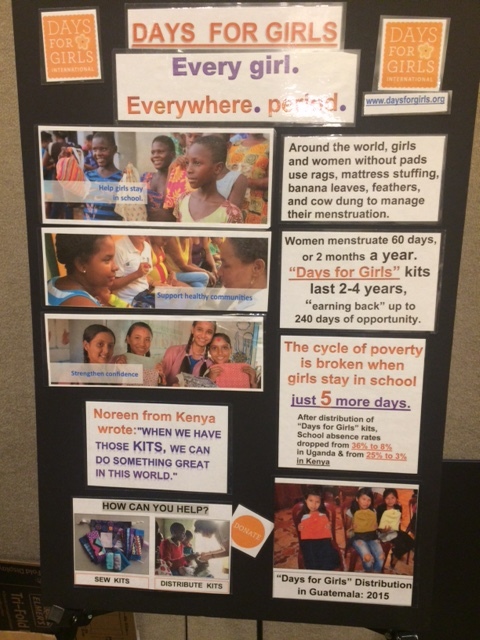 The “Days for Girls” program is one of the most meaningful projects, with 350 feminine hygiene kits that were made by Lions and other Alaska volunteers to distribute at workshops with older elementary girls in several school settings. MD49 Lions donated funds to LCIF in our honor. What a great way to support the Measles Initiative! A special part of the Award’s Program featured the induction of three new Lions for District 49A: Lion Mitchell Ebertz, sponsored by Lion Pete Ebertz (Bethel Lions Club); Lion Rachel Johnson sponsored Lion Kathi Morin (Kodiak Lions Club); and Lion Taylor Follman sponsored by Lion Marnie Vollman (Copper River Basin Lions Club). New members and sponsors receive pins and certificates. Highlights of the event were the presentation of the Presidential Certificates of Appreciation to PCC Lion Howard Rixie and PDG Dodie Rixie (North Pole Lions), PCC Lion Bill Richardson (Whitehorse Lion), Lion Garry Doering (Whitehorse Grey Lions), PCC Lion Michael Brown (Kodiak Lions), Lion Joy Blackburn (Mountain View Lions), and Lion Walt Hays (Palmer Lions Club). Following the banquet, we were driven back to the airport for our return to Orlando. We left Alaska too soon, but we know that our first visit will not be our last. 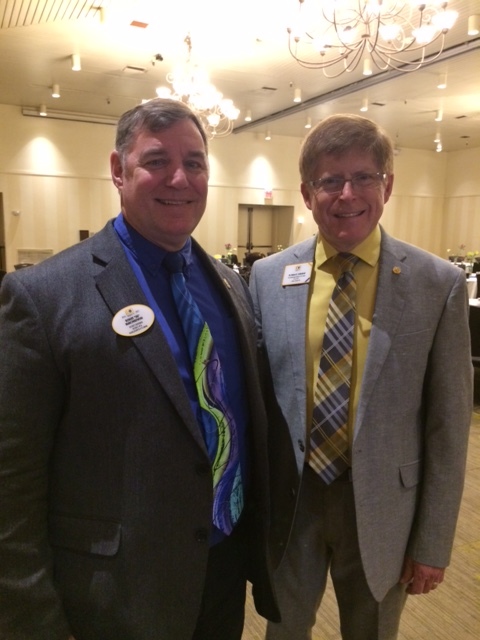 Alaska Lions of Multiple District 49 have left an indelible mark on our hearts. Thank you for your service and your friendship!